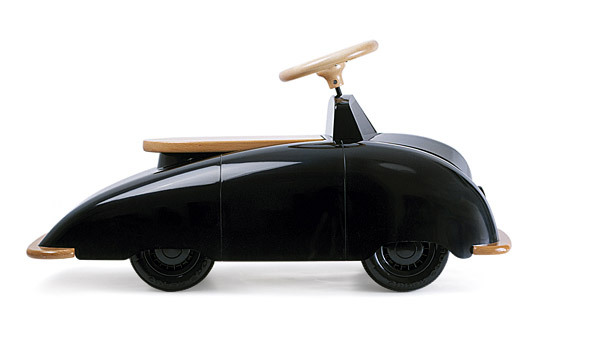 SAAB Roadster by Ulf Hanses / Playsam. 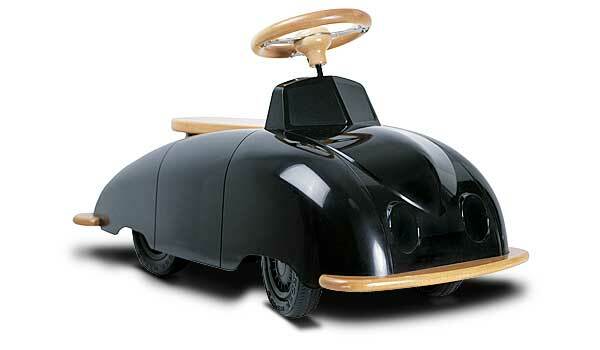 SAAB roadster , activity toy for small children. Sixten Saxton / Ulf Hanses, Sweden 1947/2002. Materials: Wood, metal and plastic. The design is based on the very first Saab - Sixten Saxton's prototype 92001. 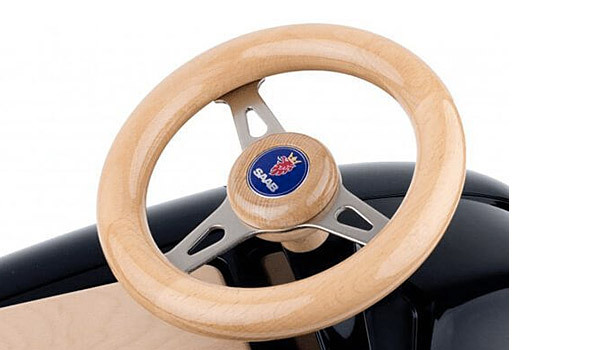 This sit-on car has a steering wheel made from wood and metal just like the old sports car. Not suitable for children under 12 months of age.